The PAMELA EVERARD on Tilbury Stage in about 1991. She was built in 1984 at 1,892 grt. 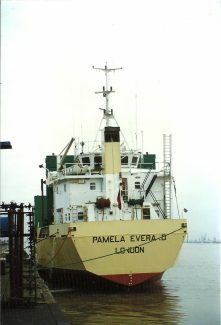 She became the CELTIC CARRIER in 2001.